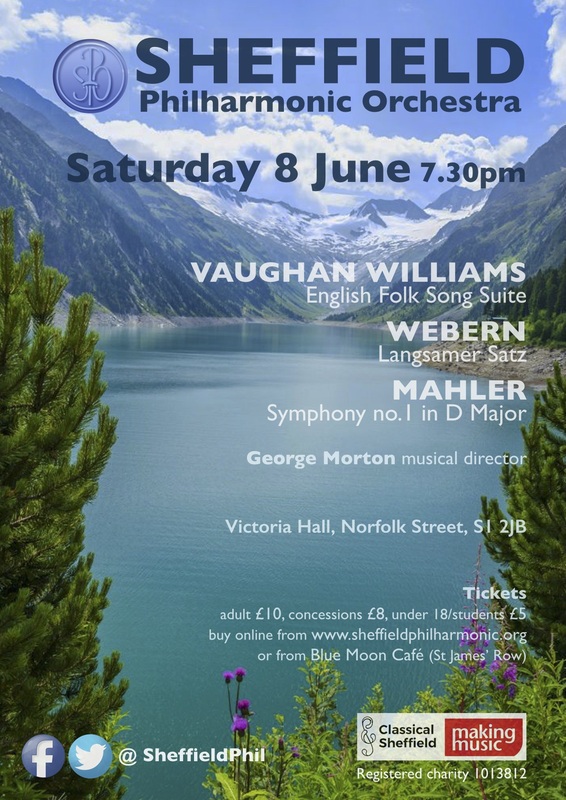 Sheffield Philharmonic Orchestra is thrilled to be performing three fascinating works that are all based on themes surrounding nature. Starting the concert will be Vaughan Williams' iconic and well-loved 'English Folk Song Suite'. Originally composed for military band in 1923, the work was later orchestrated by Gordon Jacob for orchestra in 1924. Anton Webern's 'Langsamer Satz' (Slow Movement) was composed in 1905, after the composer was inspired by a long hiking trip in the mountains near Vienna. Originally a string quartet, the orchestra will be performing the heart-wrenching string orchestra version. Closing this concert is Mahler's bold First Symphony in D major. With huge forces, a strong narrative and even some surprises along the way, 'The Titan' is a quintessential Mahler work. With strong links to nature throughout, we are looking forward to closing our 18/19 season with this monumental work.